Is this animal a product of radioactive elements? 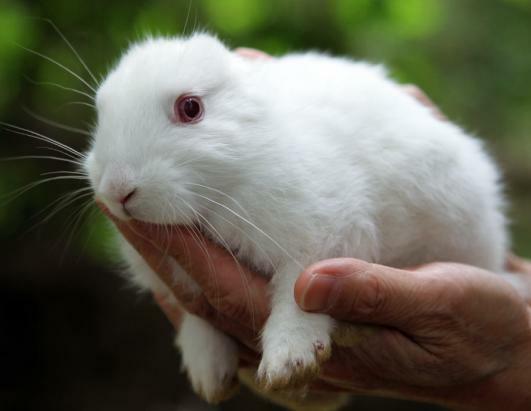 An uploaded video on Youtube caught the attention of more than two million viewers because it stars an animal with unusual feature: an earless rabbit. According to the Youtube user who uploaded the video, the bunny was born near the Fukushima nuclear zone. The nuclear plant in Fukushima was affected greatly by the earthquake which hit Japan three months ago. People speculated that video is a proof that exposure radiation has bad effects to man and animals . However, experts are not drawing conclusions yet. Some animal doctors say this might not be caused by mutation but it is more of a congenital condition.